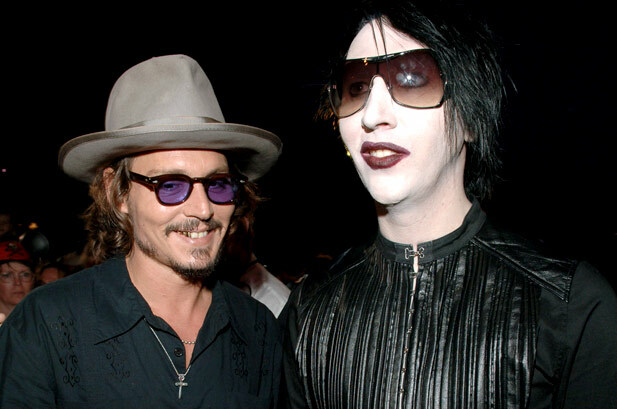 If you remember, Manson’s song “The Nobodies” was featured on the soundtrack to Depp’s 2001 film ‘From Hell’. So the two have has a past before. I’m all for this. I’ve seen Manson in concert before. It was a great show. Right after he burned the bible, tons and tons of confetti shot out from all directions. I have to give it up to Depp though, this is very cool. The album comes out May 1st of this year on vinyl and CD. Record Store Day Will Feature 3 Amazing Soundtracks!!! This entry was posted on Tuesday, March 20th, 2012 at 11:09 pm	and is filed under Music, News. You can follow any responses to this entry through the RSS 2.0 feed. You can skip to the end and leave a response. Pinging is currently not allowed. « Check Out The Trailer For ‘Battlestar Galactica: Blood and Chrome’!! !